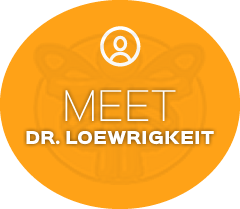 Dr. Eric Loewrigkeit and his team have delivered quality chiropractic care to the Sparta area since 2002. They are passionate about helping patients achieve success with their health goals. Begin your journey to health and wellness now. Chiropractor In Sparta Loves Helping People! At Sparta chiropractic and Wellness Center, we encourage patients to make lifestyle changes so that their health can continue to improve to its optimum level, far beyond simple symptom relief. We have Sparta’s only “no wait” policy. Flexible scheduling is available 5 days a week. We work with all insurances. The best thing for you to do is to give us your insurance information so we can check your benefits for you so you’ll know exactly what you’re responsible for at the time of your visit. We offer multiple methods of payment that fit any budget. When mentioned at the time of your call, we have an initial examination special for only $110. A friendly and caring support staff. A family-like atmosphere that offers baby-sitting during your office visit. Convenient location with easy parking. We offer care so safe and gentle that we even take care of babies and grandparents. Wondering if chiropractic care can really help you? Still have questions about chiropractic? Dr. Eric has set aside a special time to talk about any questions you have! We are now offering complimentary phone consultations with Dr. Eric on Wednesdays and Fridays at 1:30 and 1:45. Contact us to reserve your consultation today! Quality Chiropractic Care for Sparta, Byram! I feel completely comfortable in the office. Everybody is very friendly and upbeat. I feel already so much better after a few visits and have learned a lot about my body, nutrition, posture, breathing and sleeping habits. I highly recommend this doctor and his staff. Great visit and feeling benefits !